Known to be among the last groups of short surviving people on the planet earth, the Batwa people of Uganda are a unique group of people that should always be encountered by travellers undertaking safari tours in Uganda. Shorter than average person, the Batwa people are known to have inhabited the various parts of the East African region in the per-historic era before the coming of the Bantu agriculturalists who came in enormous numbers pushing the Batwa into forests thus adapting the forest lifestyle where they survived for long living a hunter gatherer culture. The Uganda’s south western forests of Bwindi Impenetrable National Park, Mgahinga National Park and Echuya forest are all ancient homes of the Batwa people. With the increase in efforts of conservation and the increase in the value of gorilla trekking safaris in Uganda along with its revenue earnings, there was a need to ensure strong protection of the mountain gorillas that had already been declared critically endangered worldwide. As a result, the Batwa people were evicted from these forests for example in the year in 1992, they were evicted from Bwindi. The eviction of the Batwa from the life that they were used to automatically disorganized their setting which caused them to face dangers of starvation along with other challenges that come along with change. However, various stakeholders including philanthropists and humanitarian agencies could not leave the Batwa people to succumb to forces of nature. The Dr. Scott and Carol Kellermans were among the prominent people that reached to the lives of the Batwa organizing them into development Association and supported them with projects like the school, water, hospital and housing. This in turn enabled the Batwa People during their transition to the new form of life that they were introduced to. 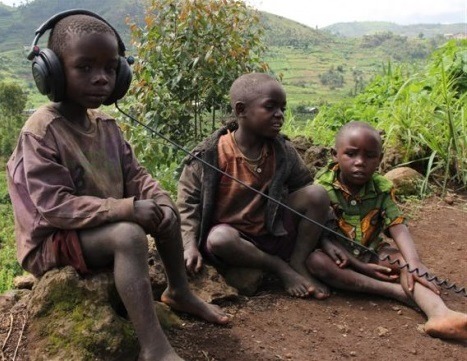 Despite alterations in their places of stay, the Batwa still have strong heritage and the Uganda Wildlife Authority has given them permission to always enter in the parks for cultural and spiritual practices. Guided heritage walks are organized by the Batwa themselves to their ancient sites allowing visitors on safaris in Uganda to have a full experience of their culture.